"The place is clean and the staff is friendly. I highly recommended." "The doctors at the practice are always so considerate and compassionate." "Reliable place! Have been going there for 8 years now." The mission at City Care Family Practice is a simple one: Provide comprehensive, quality care to every member of the family in a neighborhood practice that emphasizes individual attention. To do that, the practice relies on the expertise of a team of family medicine experts, led by Bruce K. Chung, MD, Yolana Fuks, MD, and Tamar Laderman, FNP. The experienced and compassionate medical team provides care for patients in the Murray Hill area on the east side of Manhattan in New York, from newborns on up to the most senior member of the family. 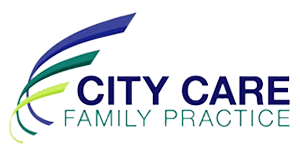 City Care Family Practice stresses three things in its practice: ability, availability, and affability. To the first point, the team of medical experts can handle almost all family medical needs, from vaccinations and annual check-ups to the management of chronic conditions and heart health. When it comes to availability, the practice is open six days a week to accommodate even the busiest family’s schedule. Rounding out the three As is affability. City Care Family Practice prides itself on being a local practice that caters to the community. The staff gets to know their patients by name, and they take an interest in every person who walks through the door, ensuring that all their medical needs are met. In order to provide care for every member of the community, City Care Family Practice offers services in English, Japanese, Spanish, Burmese, and Tagalog. Same Day Sick Appointments Available! Call Our Office to Schedule Your Visit! Patients can use the portal for appointment booking, bill payments, lab results, and many other features. We accept many insurance plans. Call us if you don’t see your insurance listed here or if you have any questions. "Never had any problems with them. They always schedule me in for the same day which is very appreciated when I'm not feeling well." "I've been going here for about 10 years, and last week I was once again reminded why I do."